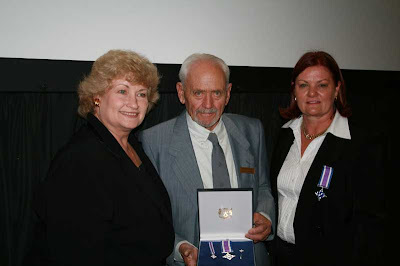 Pictured above are Pat Marincowitz (centre) and Annelie Rabie (right), who recently received the Order of the Disa from Premier Ebrahim Rasool. The Order was awarded posthumously to Helena Marincowitz, whose commitment to capturing the oral history of our nation reflected her conviction that history is not about the past, but is instead a window to the future for generations to come. Ms Marincowitz’s oral history was premised on what has come to be known as public history, a history of ordinary people that would otherwise be lost. Her memory project helped to archive the origins, life stories, accounts and anecdotes that inform the identity of many South African communities past and present. Annelie Rabie received her award based on her work as Managing Director of Business against Crime, Western Cape. Her crusade has defied the stereotypes and shown that women are capable of not only taking on, but of registering success in roles which were traditionally preserved for their male counterparts. The economic boom on the back of huge property development in the Cape Town City Central Business District demonstrates the success of her crusade against crime. Her contribution to Cape Town’s safety and security has helped attract major investments and bring citizens back into the city centre.